I’ve been thinking of this blog very often lately. I wanted to apologize for not posting for the past 8 months! Life has definitely caught up with me. Amidst graduate school, work, family emergencies, traveling, job search, and thesis research, I have let Art Dish slip through the cracks. I’m back! I will slowly start writing a few posts a week and soon be back in full swing. 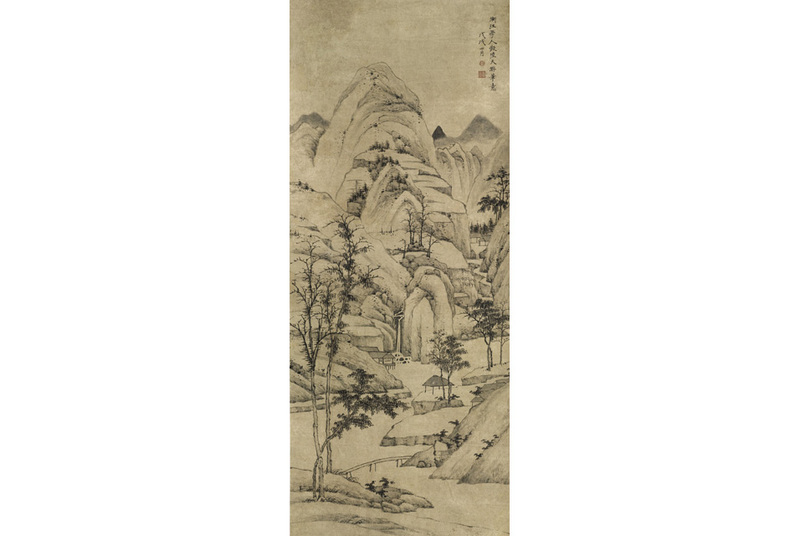 Hongren, Landscape After Lu Guang, 1658. Photo: Sotheby's. To celebrate Art Dish’s return, and in honor of Asia Week New York, I will be featuring Asian work this week. My boyfriend is currently living in Handan, China. So, I have some good stuff in the works! Enter your email address to subscribe to Art Dish and receive notifications of new posts by email.